How did last week go? Did you successfully perform 5 acts of secret service? This is the last week of our Kindness Challenge. 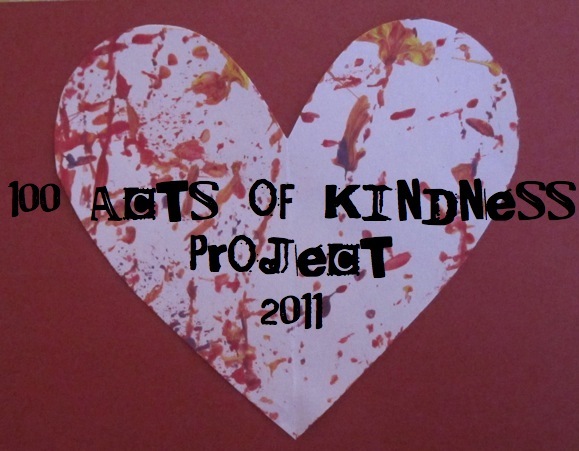 We are 7 days away from Valentine's Day and our BIG Kindness celebration. Will you have accomplished 100 Acts of Kindness by then? We are having the hardest time keeping track around here... but we are trying! Tomorrow is going to be crazy, so I'm posting this week's challenge early. Kindness Challenge #4- Smile at 20 people. This is my favorite smiler at our house these days. Her smiles melt my heart. It is amazing how great a little smile can make you feel. Do you think you can accomplish this challenge? If you're interested in making it even harder... don't count family members and friends! Fortunately, I can already tell that this kindness challenge is working. My son is CONSTANTLY telling me about kind things that others do and gets SO EXCITED when I tell him that he did something kind. We are not perfect (and there are many days when I still haven't been very kind), but I am seeing little bits of progress! How about you? Good luck with this week's challenge and keep smiling! 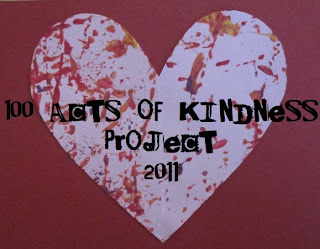 Been enjoying reading your posts on toddler activities, and looking at the cute photos : ) I have been posting brief updates on the 100 acts of kindness at my blog, under the specific category. Hope you enjoy! !